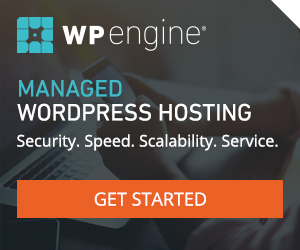 On Friday I will be travelling to San Francisco to attend WordCamp. This will be my third year in a row going, and I am looking forward to it. Each year I am so inspired to see what other great teams are doing and it always makes me want to improve, which I guess is the best part about a conference. Plus it is a fun city to be in for a few days, and the 60° weather sounds nice right now. 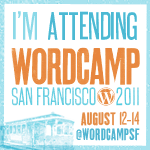 This year I get to return to San Francisco to attend WordCamp 2011. I enjoyed it so much last year, that I’m very happy to be going back. Joining me at this years conference will be another Blizzard employee Julia, our designer. I’m already excited about all the speakers. I’ll have to post more from the conference, but just had to share my excitement!